Toronto, Canada (Oct 16, 2017) – Immersed 2017 marks the 4th anniversary of the premier East Coast gathering of immersive technology leaders, investors, content makers, creators and end users to experience a showcase of digitized realities and to learn more about the impact of artificial intelligence (AI) and other upcoming technologies. 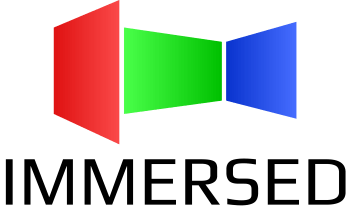 Register today to attend the Immersive Technology Alliance’s (ITA) Immersed conference at the Ontario Science Centre in Toronto, Canada, October 19-21. A stellar line up of keynote speakers includes: Frank Soqui, General Manager of VR for Intel, Buzz Hays, Head of Product for Lytro, and David Parker, pioneer of medical patient well-being and IoT consultant. Other noted speakers include Tricia Dugan, Vice-President of Go-to-Market Immersive Computing for HP, and Habib Zargarpour, Visual Effects Consultant for Blade Runner 2049. Intel is the Gold Sponsor of Immersed 2017. Attendees will hear over 30 top international immersive technology experts: Intel, IBM, Nvidia, Google, Lytro, HP, Stereo D, Groupe Média TFO, Advanced Micro Devices, Jon Peddie Research, FORREC, Sophic Capital, Space Channel, and more. Immersed focuses on the use of immersive technology in entertainment, consumer experience design, education, marketing, healthcare, and location based entertainment. “It’s rare to have this level of international executive access on the east coast, and a simple handshake could be extremely valuable to anyone working in the field or wanting to connect with the right people. This is why Immersed has been a must-attend conference for years,” said Neil Schneider, Executive Director of The Immersive Technology Alliance. Immersed 2017 is a place where developers and clients meet. It offers a dedicated two plus day professional speaker and education series, content developer training, a private business-to-business exhibition hall, and several top level networking opportunities including meals for most professional days. On Saturday, the private exhibit hall will be free to the general public to experience the magic of immersive technology. There will be family friendly video games, new technology demonstrations, and unique use cases on display. Sample exhibitors include Intel, PIMAX VR, Suometry, Escape VR, Motion Workshop, and Shain Michael Design. REGISTER NOW, space is limited. Media passes available for qualified press. Non-profit and non-proprietary, The Immersive Technology Alliance (The ITA) was founded to help build viability for the immersive technology markets such as augmented and virtual reality, stereoscopic 3D, gesture technology, and more. © 2019 The International Future Computing Association (TIFCA).